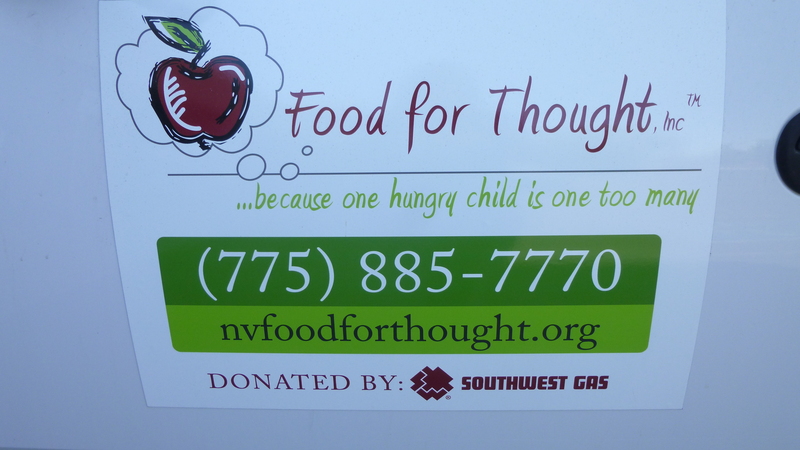 From there I drove up to Reno to make my next donation, which was going to the Veteran’s Guesthouse. This is a large home right across the VA hospital that veterans and their families can stay in while they’re in treatment. I met Kathy, the house manager, and they were very pleased with the donation. Kathy showed me around the home, and told me about its history, and the guesthouse seemed like such a good idea, it made me wonder why there aren’t more of them (probably for financial reasons!) 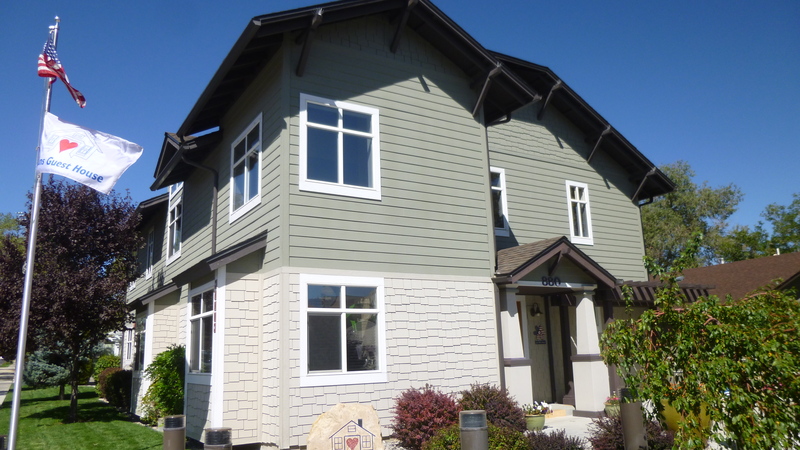 They can house up to 19 people, and there are a variety of room options – most have 2 twin beds, but there are a few single rooms for the PTSD patients who simply can’t be around other people all the time. 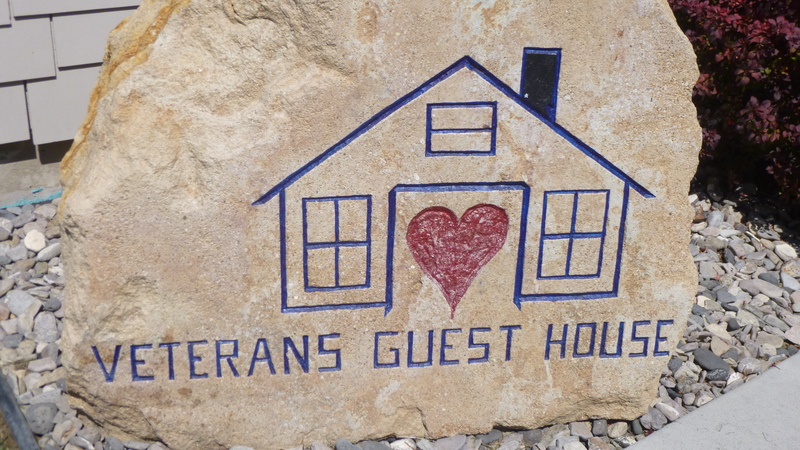 And the patients are welcome to stay as long as there’s a medical need for them to do so, whether it’s for a week or a month or longer – it’s kind of like a Ronald McDonald house for veterans. If their rooms get totally full, the nearby Sands Motel is generous about taking any overflow when it’s necessary. They are starting to see more and more veterans from the Vietnam War era with Agent Orange complications. 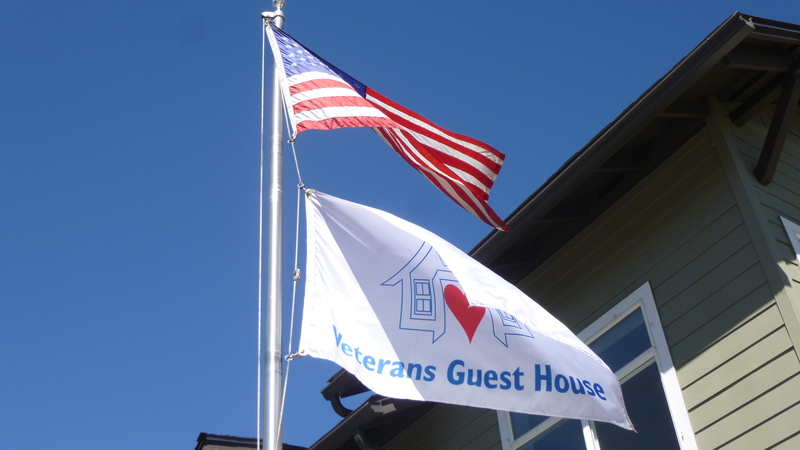 This guesthouse started as a “spouse house” nearly 20 years ago, when the founders, who were veterans, noticed people sleeping in the hospital parking lots because they couldn’t afford motel rooms in addition to the expenses of coming in for medical appointments. And since then the house has been remodeled, and they also acquired the house next door for a few more bedrooms. 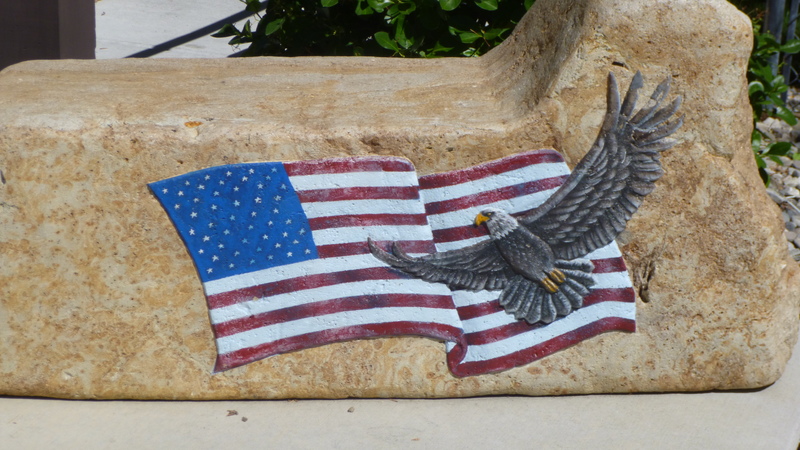 I really enjoyed the visit, and meeting the people (and got a fresh-baked cookie that a group of them were baking!) 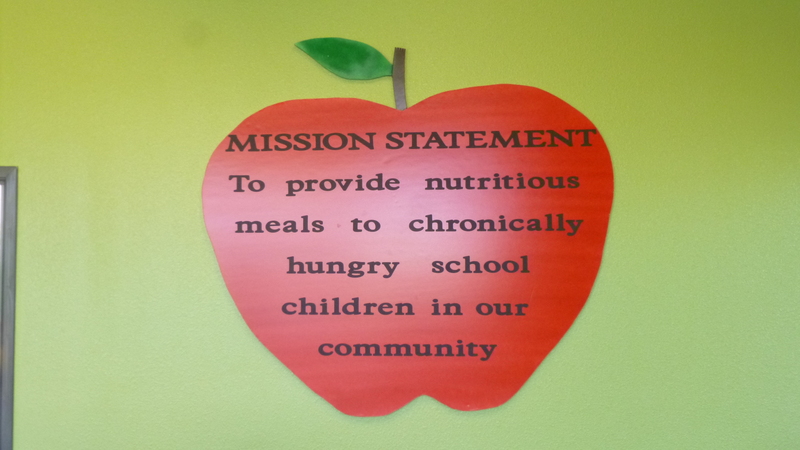 and it’s fun for me to run across a new and different donation opportunity after a year on the road. This had all taken some time, and I hadn’t done any walking yet, so I had to get going with that. 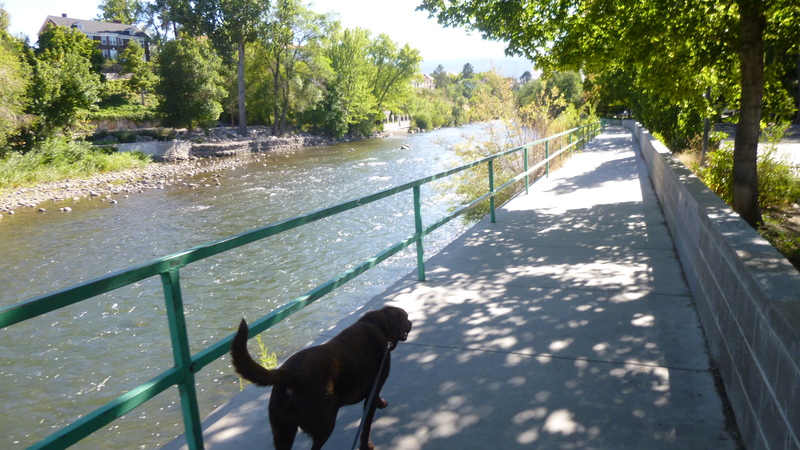 It was another hot day, and Tula and I walked about a mile right around the guesthome and hospital area, and then we went back to downtown Reno. 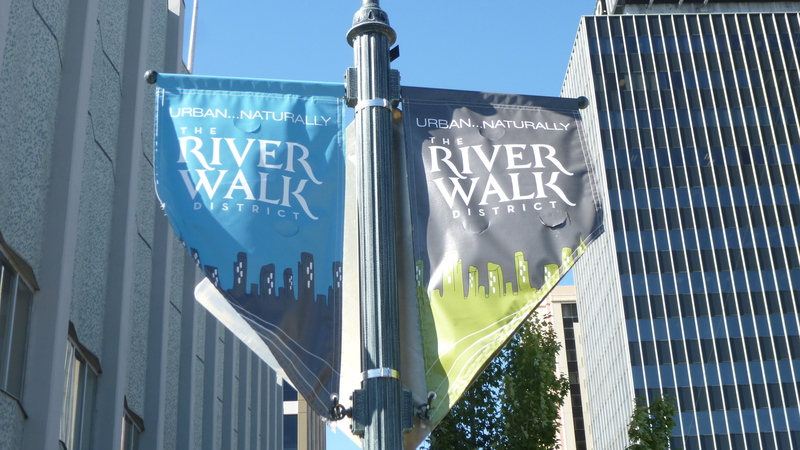 I walked a mile and a half through the old downtown part of Reno, which had a very different feel to it than Vegas. 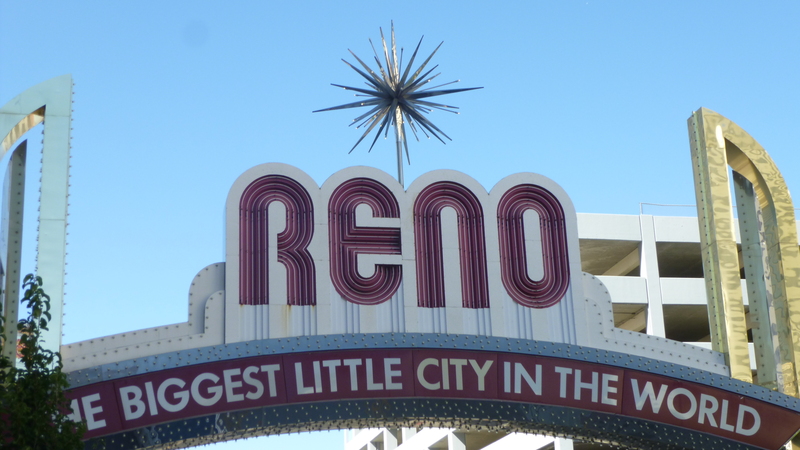 Reno was a gambling mecca for Californians before Vegas sprang up, and kind of retains a more old-style feel to town than Vegas does. 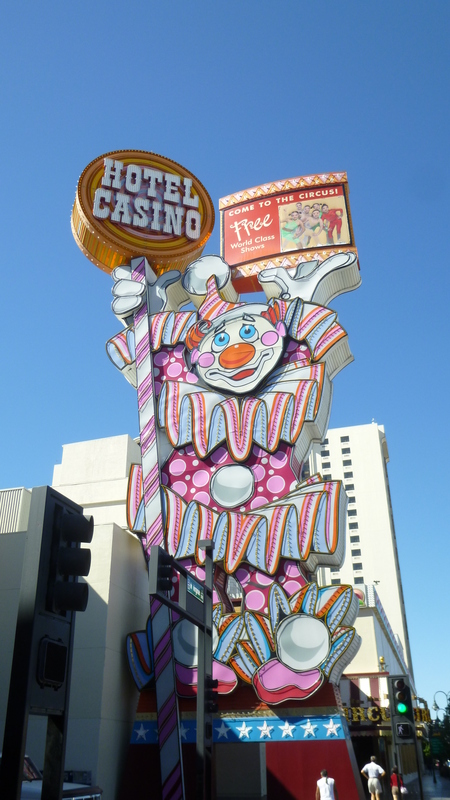 There’s lots of casinos and hotels, but they’re not the big theme hotels that Vegas has, and I think some of the neon lights and signs have been around for decades! 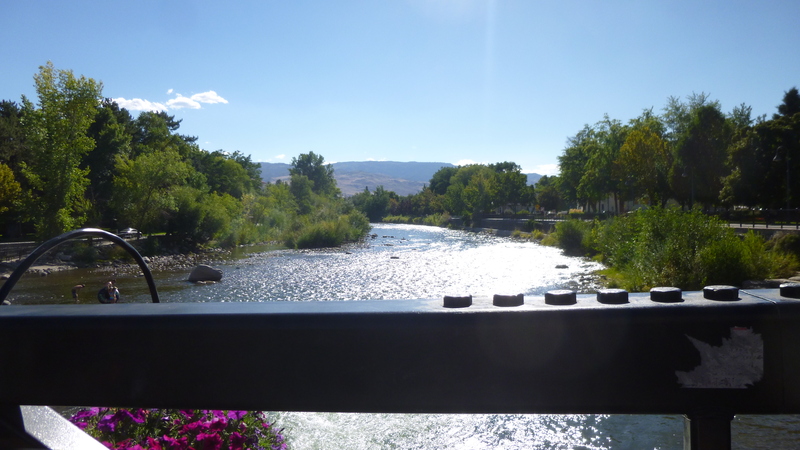 Then I found a river walk in town and Tula and I walked another mile and a half along that. But there seemed to be quite a few homeless people around, and there was a group of young kids, who seemed to have all their possessions with them, hanging out by the river, and a couple of them were even washing their hair and bathing in the river. Hmmm… I saw a more interesting place to walk up ahead, and decided to get the car over there too since there was free parking. Tula and I went on a nice shady 4 mile walk along a different part of the river through a nicer neighborhood and into a big park. 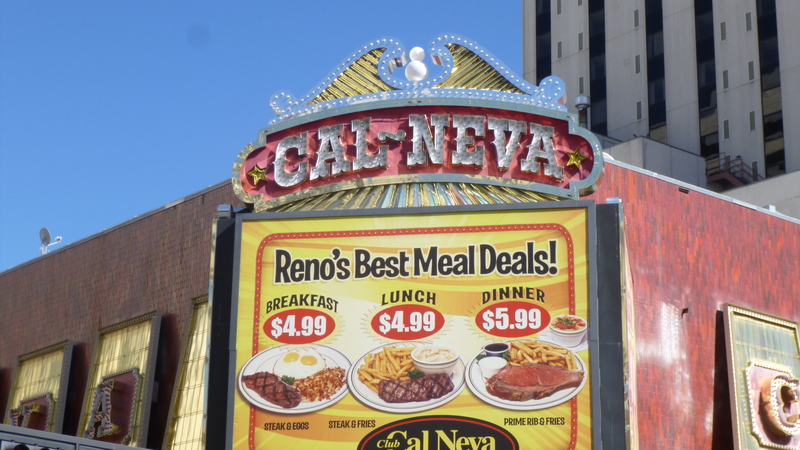 By then I had worked up a good appetite, and recalled the big flashing neon sign downtown advertising $5.99 prime rib dinners. That was too good to pass up. 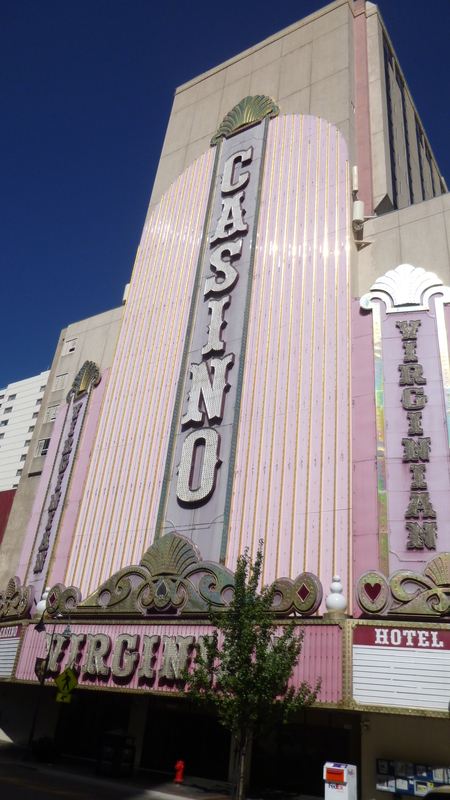 So I drove back downtown, and went in the casino/hotel where I almost got lost trying to find the restaurant. 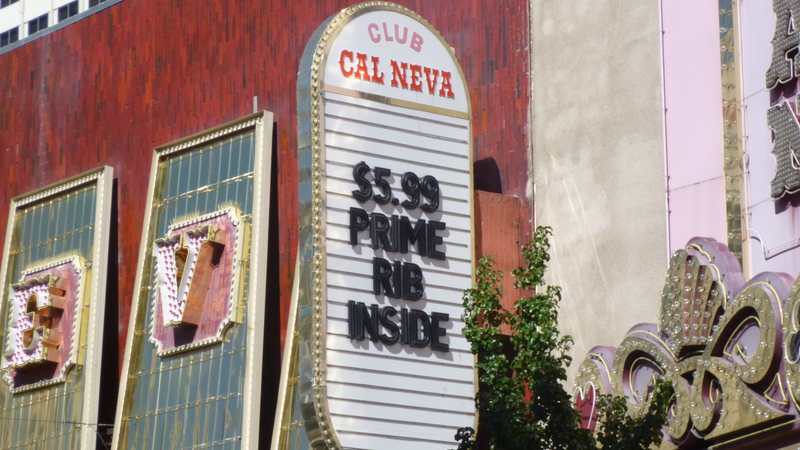 And I had my $5.99 prime rib dinner – it was actually a really nice big prime rib, cooked just right. There was no choice of sides – it was fries and a cup of soup, but definitely worth the price! By the time I was done with all the walking and dinner, it was getting dark, and I didn’t want to start my drive across “The Loneliest Road” at night. 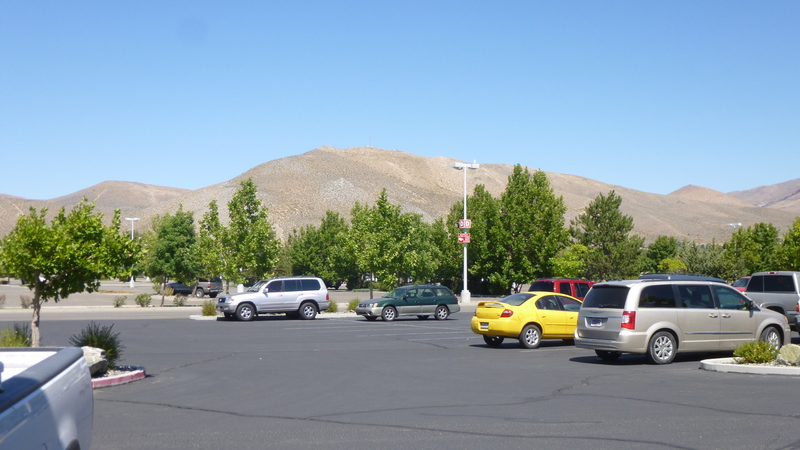 So I used some of my travel points for a free night at a motel a bit east of town, where I’d be ready to head off across Nevada first thing in the morning.